PRINCE CHARLES, the eldest son of Queen Elizabeth II, of Great Britain, has come and gone. Unlike ‘Shawcross in; Shawcross out’, his was a good four-day visit that evoked sweet memories in the good old prince. The day before the Royal visit, President Akufo Addo had intimated: “Their Royal Highness’ visit to Ghana comes at an opportune moment. The U.K. and Ghana’s shared history and common values form the basis of our enduring friendship…This visit allows us to celebrate all that is good about our ties”. All that is good, yes and there are many things that are good. When Prince Charles arrived in Ghana, he was met at the Kotoka International Airport by the honorable Speaker of Parliament, Professor Mike Oquaye who escorted him to the Jubilee House to meet the President of the land. Later, at Christiansborg Castle, Prince Charles was given an enthusiastic welcome. From Christiansborg, the princely entourage went to Jamestown- there were cultural and acrobatic displays here. He could not help but join in some of the cultural dances. The dinner and ball at the end of the princely visit was an occasion to remember. All the personalities made it remarkable. It was lovely seeing ex-President Rawlings digging it cooly with the First Lady, Rebecca Akufo Addo. You could trust Nana Konadu Agyemang Rawlings’s steps with Prince Charles. Oh, and what about President Akufo Addo’s syncopation with the Duchess of Cornwall? It all happened after Prince Charles had been decorated with the highest honour of the land, “The Campanion of the Order of the Star of Ghana”. The Prince of Wales and his consort came to Kumasi at a time Asanteman was celebrating the Akwasidae festival. It was a special occasion; all the chiefs who mattered in Asante resplendent in their rich Kente cloths were present to welcome the Prince of Wales. The school-children were around, waving flags to say “Akwaaba”. How glorious! Otumfuo Osei Tutu II, Asantehene, recalled the relationship between the Golden Stool and Buckingham Palace, and gave a whimper to the days of colonialism. But the bitter rivalry that marked the Asante-British relationship had over the years been transformed into a model of amity and mutual respect, sustained by shared values. Otumfuo gave a resume of the tremendous opportunities of collaboration that existed between Ghana and the United Kingdom, adding that “… Britain can no longer walk away from the challenge of the economic development of Ghana.” The ‘war’ Ghana now has is the ‘war’ against poverty, illiteracy and diseases, and this is the ‘war’ Britain must help Ghana to fight. Of course, it could not have been the same type of assistance Ghana was soliciting in those times when we had not adopted the policy of ‘Ghana Beyond Aid’. Asanteman, Otumfuo concluded, could only wish the British royal a happy 70th birthday which falls on 14th November. At the ceremony, Prince Charles gave a vivid account of his first visit to Ghana and Manhyia 41 years ago. This second visit was to strengthen the bond between Britain and the Commonwealth. The typical Ghanaian hospitality was demonstrated by the presentation of a stool embossed with a golden Asanteman totem to the Prince, and a Kente cloth and a native sandals to his wife, Camilla, the Duchess of Cornwall. Prince Charles acknowledged the warm reception accorded him and his wife, this being the second visit to Ghana after the first one in 1977. He could recall meeting the Akyempemhene, Nana Adusei Poku in 1977 and again this 2018. He ended his speech with “Meda ase”. He could not hide the sweet times he had had, and appreciated the sweet aroma of fresh cocoa at Kona. 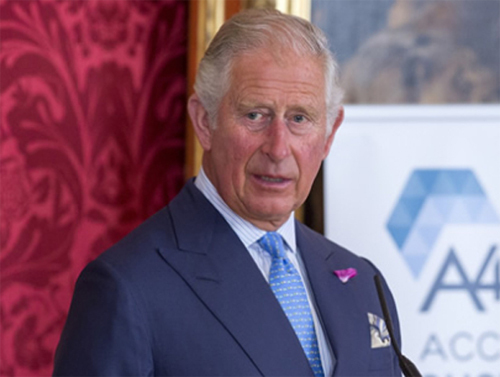 The visit by Prince Charles should awaken Ghanaians to the need to revive the bond of friendship, the linkage of cultural values, the educational heritage, and the trade openings between the two countries. We should learn lessons from Britain’s ‘Industrial Revolution’- the pros and cons of same. There is no need to be too bitter about our past relationships – the sour part of the struggle for independence, the loss of ‘self’, the wars. We have inherited many of the British traditional values – our legal systems, our Educational heritage, our dressing – even the fact that all the countries in the Commonwealth share a common language – English– (forget the fact that we were punished for speaking our local vernacular, and that policy continues even now). Let us look forward: what can Ghanaians do to improve our relationships? What can Britain do to sustain the relationship? What do we have that Britain does not have? What does Britain have that Ghana does not have? There should be reciprocity. Incidentally, many of our present leaders have tasted British life – having spent some time in Britain: these include the Okyenhene Amoatia Ofori Panin, the Asantehene Otumfuo Osei Tutu II and the President, Nana Addo Dankwa Akufo Addo. We have lived our long life with the British: we know them intimately. We know what they can do and what they cannot. We may try to open our doors to all kinds of new ‘friends’ – why not? We should not close our doors to any nation that decides to make friends with us. But we should watch out; we should not be attracted by huge but unsustainable promises. We should be in a position to assess every offer of friendship. We should as well note the popular saying: “The devil you know is better than the devil you don’t know”, sometimes rendered as: “The devil you know is better than an angel you don’t know.” Did someone say: “Shine your eyes”? Be smart, be clever, be wise. Let us look at the positive contribution of Britain to our own development: look at the planning of our towns and villages; our rail/road network; our educational system – destroyed by our own selves: the stability of our economy and currency – damaged by our own lack of commitment. Look at our banking system – destroyed by our own greed and lack of fortitude. These were done by our own selves to our own selves- greed, selfishness. What have our ‘new friends’ given us? Destroying our land and water bodies (galamsey): dumping on us shoddy goods and fake materials! If they-our new friends – had had the opportunities the British colonialists had, would they have spared us? Ghana, Africa, should we allow ourselves to be deceived? Once again? Nobody should tell us that the British are very careful about their reputation and heritage; some other nations and nationals do not care a hoot.